"Smell the Sea, Feel the Breeze, be at ease"
The Sea Breeze Beach Front Hotel and Apartments is located directly on the glorious Agios Gordios beach on the west coast of Corfu Island. It boasts fantastic views of the waterfront and the Mediterranean Sea that stretches out beyond it. Agios Gordios is overlooked by spectacular rock formations and sheer cliffs plunging into the crystal clear waters. A gigantic rock like a huge monolith, dominates the bay, while the mythical ‘Ortholithi’ is a trademark rock rising out of the sea. 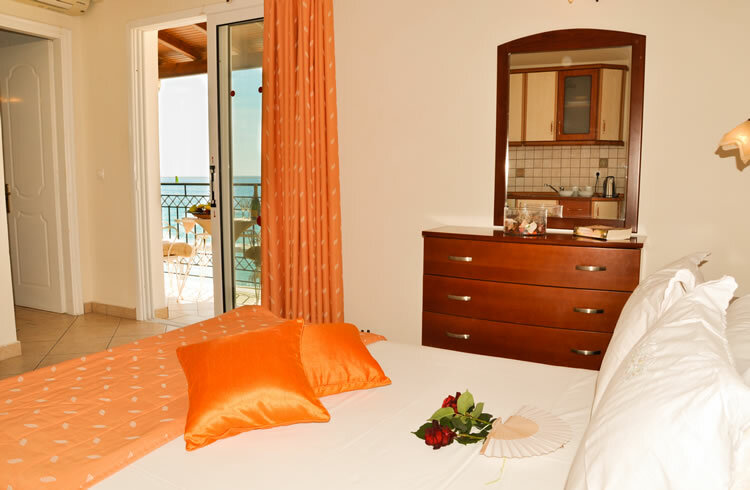 Our hotel can provide you with 5 different room types for you to choose between what suits you the most. 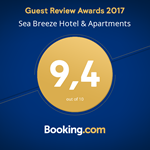 Complete your stay at Sea Breeze beach front Hotel & Apartments by including our Half Board Packages where you can enjoy breakfast or dinner or both overlooking the golden sands of Agios Gordios Beach. 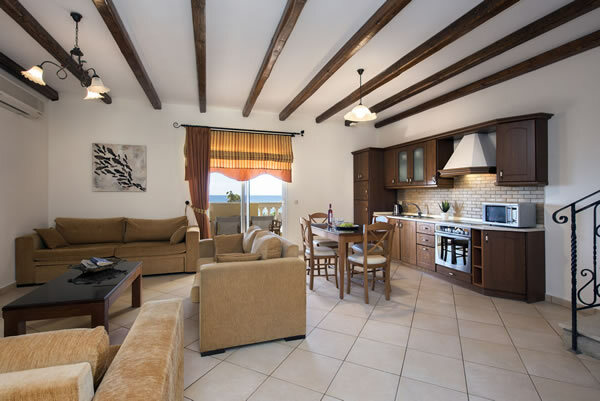 An ideal offer for guests who would like to explore Corfu during the day and have the peace of mind knowing that dinner will be covered on your return. Our Restaurant follows the orders of Traditional Mediterranean Cuisine, using pure ingredients and fresh-pressed olive oil in authentic recipes, giving you both a delicious and most memorable meal. The Sea Breeze Pool Bar & Restaurant are both overlooking the sea offering an idyllic setting for a relaxed holiday that leaves you wishing you had booked for longer. A different lunch and dinner menu with freshly prepared dishes in a traditional taverna-like environment offer “the real thing”. Enjoy many benefits and receive our promotions and special offers directly.